When Jefferson Parish was hit with a severe flood it was a wake-up call for parish, state and federal officials. The parish and federal government responded with one of the nation’s largest flood prevention infrastructure investments to help keep residences and businesses in the parish dry. 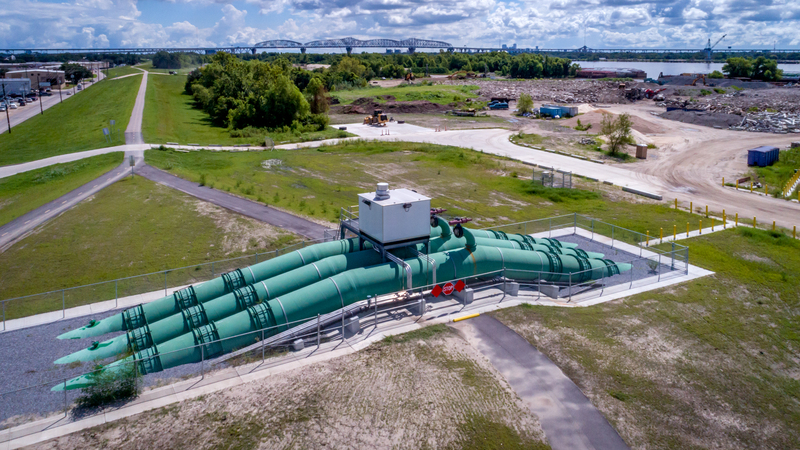 The program was authorized by the United States Congress and administered under a project cooperation agreement between the Parish and the U.S. Army Corps of Engineers. This meant the construction of new pumping stations and better drainage canals across most of the parish. As the parish worked with the state and federal government to fund and begin a long list of projects, LeBlanc and Schuster was brought in to inform the public on the program and keep them posted on its progress. L&S developed a campaign that included keeping media and the public informed through press releases, social media, newsletters, mailers, a SELA hotline and interactive website. The program resulting in keeping the public aware of the program as projects were added and changes were made. Many of the projects affected residents through increasing traffic, blocking roads and noise. We kept residents and neighborhoods up-to-date on progress that eventually led to a large reduction in the number of floods to the parish caused by heavy rain events.